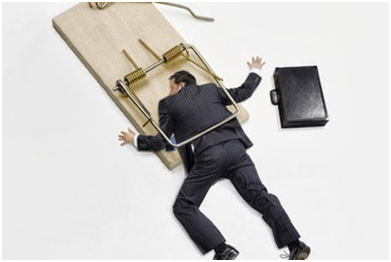 If you decide that personal or business bankruptcy might be the best strategy for getting rid of your business debts, you’ll need to plan ahead to steer clear of some common missteps. Fortunately, even if you end up solving your debt problems without bankruptcy, these tips make good sense anyway. If a friend, relative, or business associate has lent you money, you may be tempted to try to repay some or all of it before filing bankruptcy. Bad idea. When you file for bankruptcy, the bankruptcy trustee will scrutinize all payments you make during the year before the filing to make sure that some creditors weren’t given an unfair advantage (called “preference payments”). The trustee will want to “recapture” (take back) any preference payments you made to creditors within one year if those payments were made to a relative or close business associate (an “insider”) and will divide them equally among all creditors. If your relatives or associates can’t come up with the money that you paid them, the bankruptcy trustee can sue them to recover it. You are legally allowed to pay one unsecured creditor ahead of the others if the creditor is not a close relative or associate—for example, you can choose to pay the business line of credit that you signed a personal guarantee on before you pay your suppliers. The bankruptcy trustee will look back 90 days at payments you made to these regular creditors. The trustee can make a company that was paid “disgorge” (return) payments of over $5,475 and spread the money among all of your creditors. But if fewer than 51% of your debts are from your business operations, the trustee can force a company to disgorge only payments of more than $600. If you borrow money from family and friends to repay your business debts and then end up filing bankruptcy, none of the money you borrowed can be paid back, even if your business property is sold and the proceeds distributed to your creditors. That’s because the bankruptcy court is likely to classify a loan from a relative or close associate as a gift, not a loan. The bankruptcy system treats you like an insider creditor. So if you pay yourself a bonus, repay a loan you made to the business, or otherwise take money out of the company during the 12 months prior to filing for bankruptcy, it will be considered a recoverable preference payment. 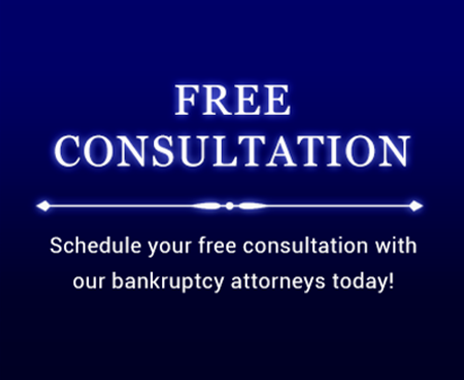 It might even be considered bankruptcy fraud, which can result in jail time, or at least in the dismissal of your bankruptcy case. Some people, realizing that bankruptcy is inevitable, grab whatever cash they can and buy a car, luxury items, or go on a trip before they file. Another bad idea. If you buy luxury goods or services within three months of filing, you are considered to have had the intent to defraud the bankruptcy court, and the resulting debts won’t be discharged in bankruptcy. Even if you make big purchases, such as a vacation time-share, country club dues, or a pricey new wardrobe, more than three months before filing, the creditor can still claim that your intent was fraudulent and you never meant to pay the money back—but in this case, the creditor has to prove that your intent was fraudulent. If the creditor is successful, these debts won’t be discharged in bankruptcy. is considered stealing from your creditors and bankruptcy fraud, which can result in the dismissal of your bankruptcy case or even criminal charges. If you take a large cash advance on a credit card before filing for bankruptcy, the credit card company can assert that you were trying to defraud it and that you had no intent of paying the money back. In consequence, the bankruptcy trustee can treat the cash advance as a non-dischargeable debt, or even throw your case out of court entirely because of it. Any cash advance over $825 taken within 70 days of filing for bankruptcy is usually non-dischargeable. Lesser amounts should be dischargeable unless the creditor argues successfully that you had no intent to pay the money back. Prepayments of secured debts like car loans or mortgages may be recoverable by the bankruptcy trustee, which means you and the secured creditor both lose. If you declare bankruptcy, the utility companies cannot use this as an excuse for immediately shutting off services (although they can require you to post a reasonable deposit to keep on the lights, phone service, and heat). As long as you pay future bills on time, you should be fine. Similarly, as long as you keep paying your rent, your landlord can’t evict you. Don’t be spooked by the clause, common in commercial leases, that says that you’re automatically in default (in violation of your lease) if you file for bankruptcy. These clauses are generally not enforceable (except against sub lessees and assignees). If you’re leasing equipment and are going out of business, return the equipment to the leasing company before you file for bankruptcy. The company will bill you for the amount owed under the remainder of the lease, but this debt will be discharged in bankruptcy. If you want to keep your business open post-bankruptcy and want to keep leased property, you’ll need to keep making payments on time. Your obligation won’t be discharged by your bankruptcy, because the debt is secured by the equipment. If you need to keep your liability insurance in force to cover unknown liabilities, file for bankruptcy just after you renew your policy. When you file, you will want to have insurance in place that extends at least 12 months into the future. Otherwise you may have a tough time finding an insurance carrier willing to renew your business coverage or issue a new policy. As long as you continue to pay on time for existing coverage, the insurance cannot be canceled because of your bankruptcy, and you’ll enjoy some peace of mind. If you are certain that you’ll file for bankruptcy and there are certain unsecured debts you plan to wipe out, such as credit card bills and medical bills, it often makes sense to stop paying anything toward them. They will be fully discharged in bankruptcy, so you don’t really gain anything by paying them down now. It is better to put the money toward secured loans, such as your mortgage or car loan, and debts you’re personally liable for, such as payroll taxes or bankruptcy fees. You should consult a bankruptcy attorney to be sure the unsecured debt you stop paying on really is dischargeable before you stop making payments. Pre-filing planning is often the key to a successful business bankruptcy and requires competent bankruptcy counsel to achieve the most successful result.